Nicholas Westcott, ECDPM Great Insights magazine, Summer 2018 (volume 7, issue 3). Brexit, in itself an unpredicted event, will have many unpredictable consequences, for the UK, for the EU, and for the rest of the world. While all countries will be impacted in some way, for those closely linked to the UK and EU through trade or dependent on them for development support, the impact could be greater than anticipated. In the immediate term, there will in principle be no major financial changes. Both the UK and the EU will continue to devote as much through their development budgets as before. They will just do it separately, though that disengagement will take time. The UK has already hinted at a willingness to continue working through EU institutions, at least on a selective basis (cf. the article by Iliana Olivié and Aitor Pérez in this volume). This would make sense. The UK’s own Department for International Development (DFID) rates EU programmes as pretty good value for money. The UK already spends large amounts through other multilateral organisations, such as the World Bank and UN, and managing the £1 billion a year (of the UK’s £13.4 billion aid budget) currently spent through the EU would require significant extra staff in DFID. Moreover, the five principles of UK development policy outlined by UK politician Penny Mordaunt in a 12 April speech align closely with the EU’s overall aid strategy, which the UK played an important part in shaping. Whatever the terms of separation, this alignment is likely to continue. The transition period until 2020 will allow a little more time to adjust, during which trade flows should continue unimpeded. 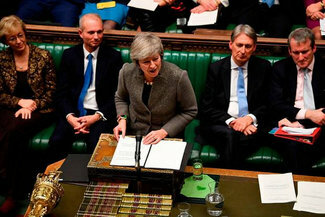 Britain will stick to its 0.7% pledge, though the slower economic growth resulting from Brexit will make it worth less. The Overseas Development Institute (ODI) estimated that the 10% fall in the value of sterling immediately after the Brexit vote wiped $1.9 billion off the dollar value of the UK’s annual overseas aid (ODI, 2017). Over the next 2-3 years there will, nevertheless, be a significant change in relations between the UK and the developing world. This relationship has already been through big changes in the last 70 years, from Empire to Commonwealth and ACP. Some Brexiteers believe the UK will “rediscover” the Commonwealth and build a new deeper relationship with those countries. The Commonwealth Summit meeting this April agreed on a number of specific initiatives on plastic, girls’ education, and malaria. But the communiqué did not suggest a transformative change in the relationship. There will nevertheless be a clear shift in the power balance between the UK and the emerging economies of Africa, Asia, the Caribbean, and the Pacific. 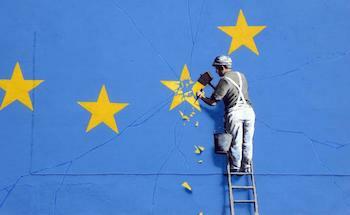 In the longer term, the global repercussions of Brexit will likely have significant impact on poorer countries’ position in the world, as the post-war structure of multilateral institutions itself comes under strain and begins to fray. The UK has pledged that it will maintain quota-free, duty-free access for all least developed countries (LDCs) to the UK market under the World Trade Organization Everything but Arms (EBA) agreement. Moreover, the UK International Trade Secretary is pressing for free trade deals with emerging economies that are better than existing EU ones. But with current trade relations governed largely by EU agreements, which will continue to apply during the transition (the economic partnership agreements, EPAs), the nature of such post-Brexit deals will depend heavily on the trade deal eventually cut with the EU itself. It seems unlikely that developing countries will offer the UK greater access to their markets than the EU, except in areas where they fear no competition from Britain. On the contrary, many will be looking for greater protection for their domestic markets than they have under the EU EPAs. Many feel that in the Brexit context the UK is the demandeur, and they have the negotiating advantage. For Africa and other developing countries, Brexit is a golden opportunity to secure better access, greater protection, and more aid from Britain than they had while it was in the EU. For the UK, it is a chance to partner with the potential African Continental Free Trade Area (CFTA), approved by 44 African governments at the special African Union meeting in Kigali in March 2018, thereby opening a wider market to its exporters. But there are challenges. Will the UK be willing to offer looser rules of origin, for example, on textiles, for developing country imports, and greater protection against UK exports, such as services, than the EU currently does, even if it puts British business at a disadvantage? It will be a tough sell. And easier imports, which would be a low cost way for the UK to favour its trade with developing countries, could come at a high cost in UK trade relations with the EU. Also, how fast will Africa be able to deliver on its CFTA vision, especially with Nigeria, South Africa, and Tanzania hesitating to join? So trade deals may take time to work through, unless the UK simply replicates EU terms by rolling over the EPAs. In that case, expect few quick wins for either side. The UK already has strong bilateral relations with many developing countries, above all, those in the Commonwealth. It will undoubtedly seek to strengthen these, as far as its resources allow. But many of these ties are not without historical complexity and occasional tension, something from which the EU is mercifully free. UK relations with India, Kenya, Nigeria, and South Africa have all had their ups and downs. One of the paradoxes for developing countries is that Brexit makes relations with the UK both more and less important. More important because as a separate entity they can no longer treat it collectively with EU partners, leaning on it separately when they wish. 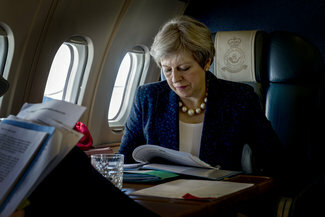 Less important because influencing the UK will no longer directly impact the EU’s position, and the UK will find it harder to defend its partners in their negotiations with the EU – for example, in negotiating the post-Cotonou arrangements, which will still matter more to most developing countries than their bilateral economic relations with the UK. It is important to recognise that money alone does not buy influence. For the UK, being a development superpower does not automatically bring political influence. That requires engagement. 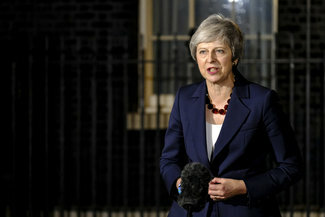 Across Africa, in Commonwealth and non-Commonwealth countries alike, Britain will have to step up its diplomatic efforts and ministerial engagement if it is to maintain its influence, as recent votes in the UN on Diego Garcia, the World Health Organization, and International Court of Justice have shown. 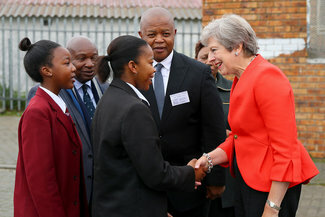 The recent scandal about the immigration treatment of the ‘Windrush generation’ illustrates how easily British influence can be lost through implementation of the very policies that powered the Brexit vote. ‘Global Britain’ is a great slogan, but meaningless if it is accompanied by policies that discourage people from coming to live and work in the UK. In the long term, 10-20 years hence, historians may see the greatest impact of Brexit as its unintended consequences. Foremost of these is the weakening of the multilateral system of which the EU is an integral and leading part. The multilateral system hinges on countries’ willingness to collaborate and compromise rather than confront and risk conflict. The EU demonstrates that this has benefits in terms of economics and security. It is therefore an example that many, from the African Union to the Association of Southeast Asian Nations (ASEAN) have sought to emulate. 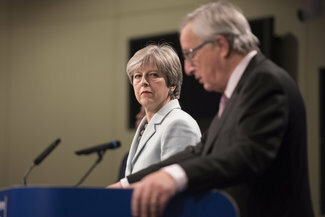 The fact that so many UK citizens were no longer willing to make the political compromises necessary to stay within the EU but preferred to confront it – on immigration and the rule of law in particular – sends a worrying signal at a time when the multilateral system itself is under threat from those who believe they are big enough to get what they want bilaterally. The lesson of the crises in Ukraine, Syria, and the South China Sea is that, for those powers, if you are a client state you will get full support whatever you do; if you are not, you risk conflict. Small and developing countries have been the prime beneficiaries of the multilateral system. They grumble, with some justice, that it is skewed in the interests of the great powers and the West, which created it. Africa, in particular has struggled to secure adequate representation in global fora. But the system has provided them guarantees and protections against the kind of clientelist global politics and protectionist/mercantilist economic policies that characterised the inter-war period and the Cold War and that some powers now want to reimpose. The last 30 years have seen great strides in ensuring development aid is not tied to political compliance or diplomatic support for another country. The multilateral agencies guarantee access to markets and finance on a non-discriminatory basis, which is essential if Africa and others are to accelerate development. It is therefore critical for most developing countries to preserve and strengthen this system, not let it decay. 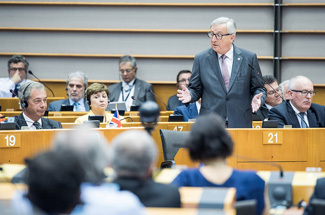 Insofar as Brexit weakens the EU and weakens the multilateral system, Britain and developing countries will need to work together and harder, with the EU, to sustain the integrity and increase the effectiveness of the system for the benefit of all.